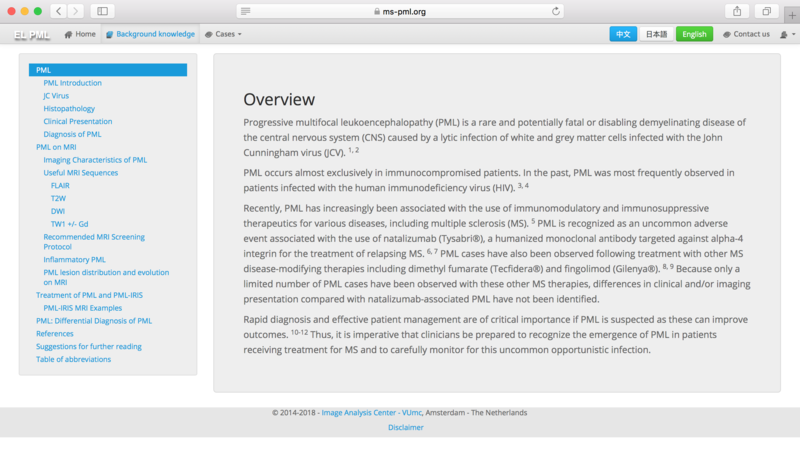 This e-learning on Progressive Multifocal Leukoencephalopathy (PML) gives some background information of PML in general and focuses in particular on imaging findings and the clinical and prognostic relevance of early PML detection in natalizumab-treated MS patients. It was also developed to facilitate its early recognition by MRI, with the goal of educating health care professionals on PML in the setting of MS. This e-learning consists of two main parts: background information and interactive cases. An update based on current research on PML in the setting of MS. It consists of images and textual information. 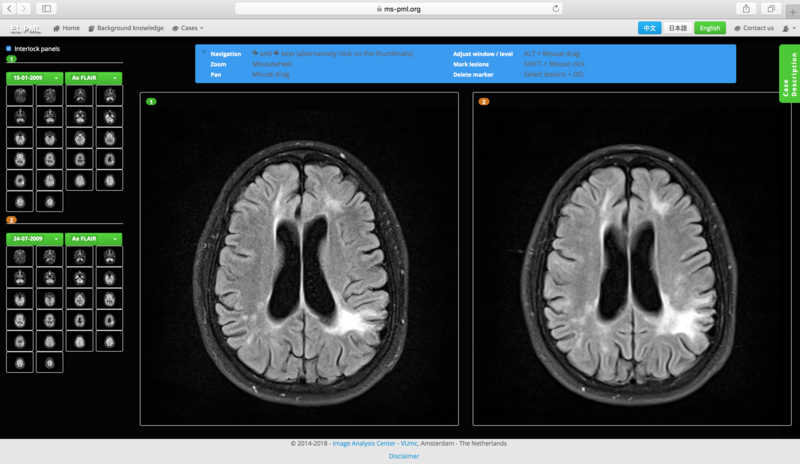 This part allows the navigation through MRI sequences and answering questions about possible PML lesions found, marking on the image and receiving feedback on the markings.